Glen spent 4 years in the Roush organization before finding a new home with Chris at Holbrook Racing Engines. We’re lucky to have someone with Glen’s love of racing and his engine assembly skills. When Glen is not at the shop, you can find him racing his Challenger at Milan Dragway. Glen was 18, in 1978, when he got his 67 Charger. Like most of us around that time, Glen did the basic mods, headers, manifold, carb, ignition, gear and put on a set of E.T. mags and a nice set of tires. The car was great for cruising on Telegraph Rd. (one of our towns unofficial drag strips) and that’s when Glen picked up his love for high performance cars. His high school had a great auto shop program that helped him obtain his base of engine knowledge. After high school, Glen got an associates degree in electronics at Henry Ford Community College. He used that education to get a job at the Fermi nuclear power plant. The entire time Glen worked at Fermi he thought about cars. After a while, Glen thought maybe he had gotten into the wrong field. Maybe if he worked on cars for a living he would be much happier. It was time for Glen to make a change in his life. Glen had been postponing a vacation to Colorado that he had planned with some friends from High School. 1984 was the year that Glen went out west with 4 of his high school buddies. Glen liked it so much he stayed. He found a job as a mechanic in a new car dealership and was enjoying his life in Colorado. 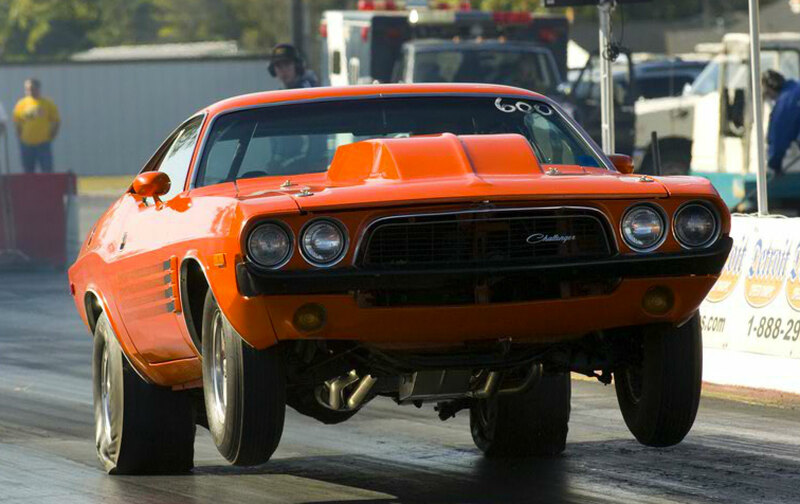 A couple years went by and Glen found a ‘72 Challenger that he still owns and races today. The car originally had a 340 that Glen swapped out for a strong running 440 with a 4 spd. Like a lot of people that leave Michigan, Glen came back home in 1988. Glen worked at Red Holman Pontiac as mechanic for a year and a half till an opportunity opened up at Andy Mannarino’s Total Automotive Engineering. Besides working with Andy Mannarino, Glen worked with some of the best minds in racing at that time. Tony Mannarino helped round out Glen’s performance education. It was a great place to be and Glen learned ton’s of speed secrets working there. In 2001, Glen made the move to transmission work at Performance Transmission in Westland, MI. After about a year of soaking up transmission knowledge, Glen had an opportunity to work at Roush Industries. Glen spent 4 years in the Roush organization before finding a new home with Chris at Holbrook Racing Engines. We’re lucky to have someone with Glen’s love of racing and his engine assembly skills. When Glen is not at the shop, you can find him racing his Challenger at Milan Dragway.